Okay, so I was pondering today on what I have learnt(or have been reminded of) since I started this health challenge. 1. Whatever change you want to make in your life, start TODAY! For so long I used everything and everybody as an excuse for not eating healthily and for procrastinating . That bikini body I want, guess what? It will never happen unless I ditch the “ifs” and “buts” and “tomorrows”. 2. Start small. If you haven’t moved all winter(like moi!) then start taking short walks every day(weather permitting). If you have been eating double what your hubby ate(again, like moi…) then eat a bit less. Whatever you aim to achieve, achieve it with every meal, with every little change. 3. Congratulate yourself when you manage to stick to your resolutions, don’t beat yourself up when you stray from the plan. Okay, I had Chinese on Friday night( the most sensible Chinese I’ve ever had! ), okay, I had a bit of apple pie and crème brûlée ice cream today. As long as these incidents remain the exception and don’t become the norm, you are still on!! 4. Try new foods: I loved my quinoa salad last Sunday. I rediscovered my love of apples. Hey, I can even eat bananas now! I could have smoked salmon and avocado on a bed of rocket salad, with a good seasoning of lemon every day of the week as a very filling snack! 5. Stock up on good food. Have your favourite fruit handy both in the fruit bowl and in the fridge so that they “tempt” you before anything else when you get peckish. Buy healthy versions of your favourite snacks: soya instead of cheese, rye bread instead of white bread…etc. 6. Ditch/ hide the waistline enemies :-)! We have some new rules in the house these days: Don’t leave Emma’s unfinished toast on the table! Hide the crackers! Don’t keep kabanos sausages in the fridge! 7. Once a week, visit the organic health food store and the right butcher. We were in Holywood on Friday and bought an organic chicken from the local butcher and got lovely goodies from Iona, the best health food store in Northern Ireland(in my eyes, anyway!) This week I will incorporate my organic chickpeas in a tasty tagine, make a lovely bulgur salad with my organic Aduki beans and use generously my kale and sea salt mixture. 8. Find people to whom you can be accountable. Don’t pay attention to people who make comments about your small portions. Avoid “food friends”, as I call them, you know, the ones who offer you coffee and a comfort biscuit whenever you visit? 9. Enjoy yourself! Life is to be enjoyed, don’t see this as self-flagellation but as an exciting experience that will bring on some exciting results! 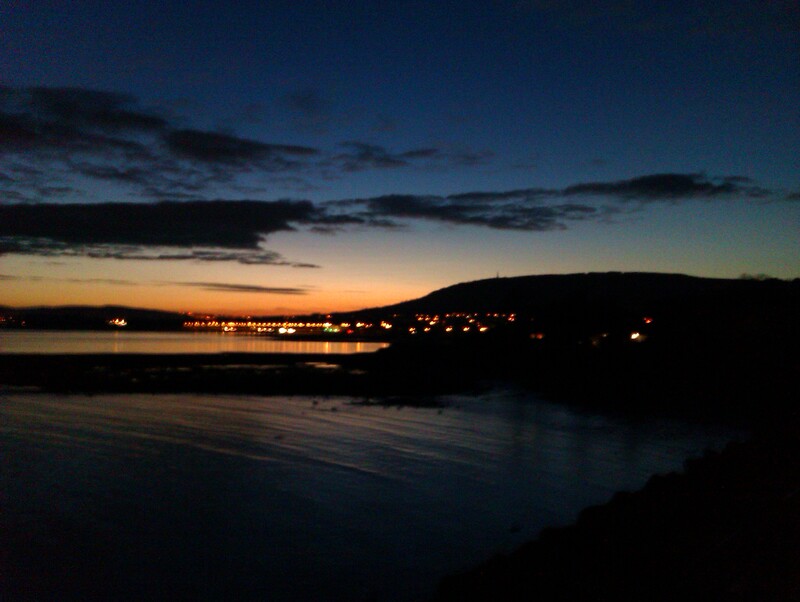 Good night, from beautiful Northern Ireland!